Hi Friends! 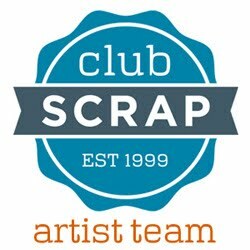 Welcome to the Club Scrap Artist Team Challenge Blog Hop. You should have just come from Hetty's blog along the hop. The Artist Team challenge for September was to incorporate watercolor techniques into our projects. 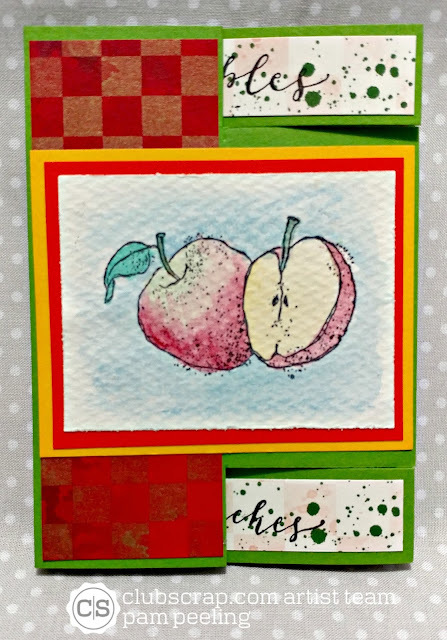 The September Club Scrap kit is called Orchard and features beautiful watercolor images by artist Swarup Murphy. 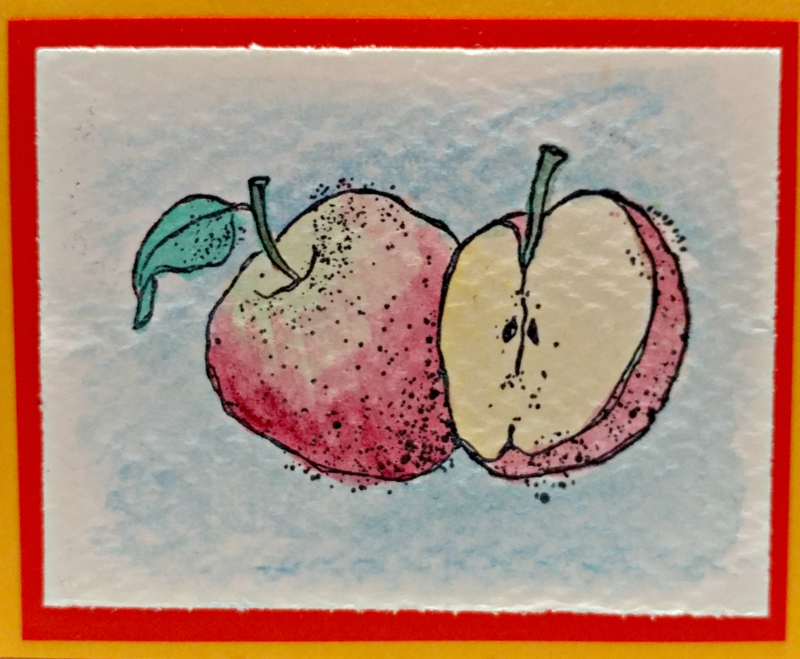 There's all kinds of watercolor techniques out there but I decided to keep it old school and use basic watercolor paints to color the stamped images from the kit and then use them on some fancy folded cards. 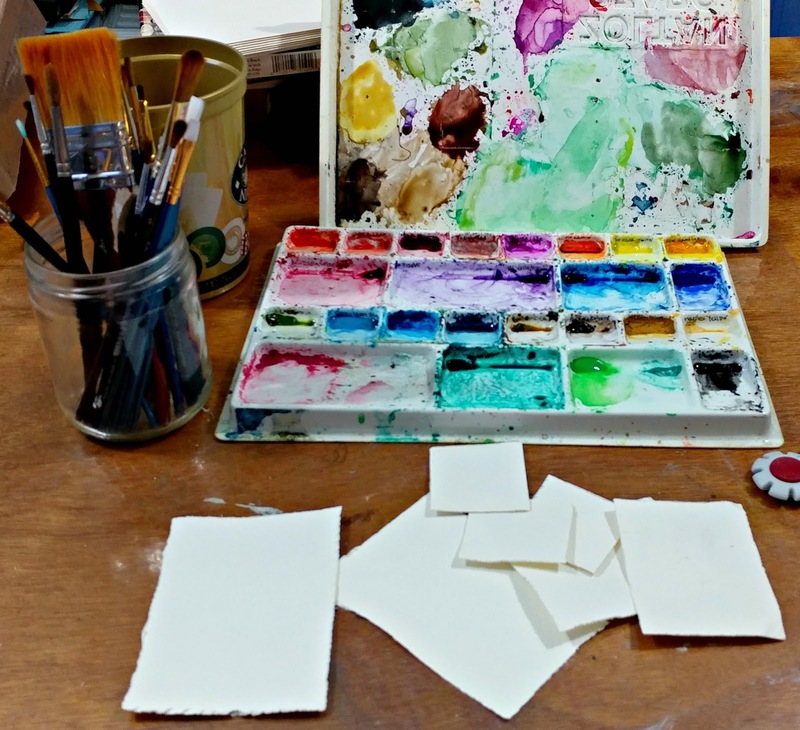 I started with watercolor paper cut to the size I wanted for my cards. 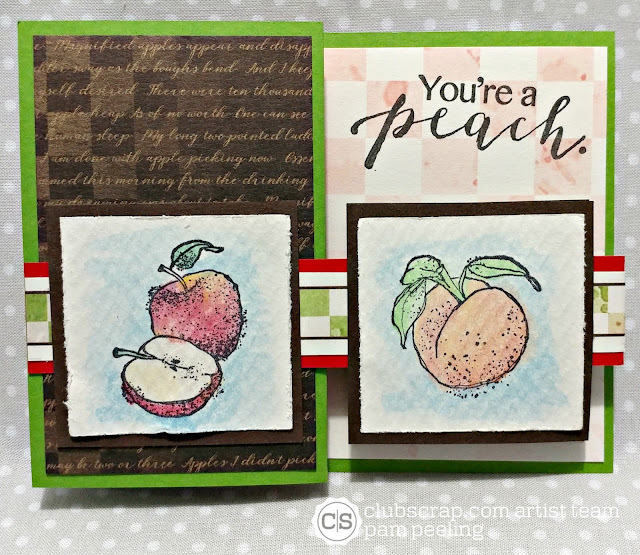 I stamped the images in Club Scrap India ink and then just used a brush to color in with watercolor paint. I roughed up the edges of the paper a bit with a paper distressing tool. Then I painted in the images and background. All colored in images are from the unmounted rubber stamps. This is a Standing Triple Panel Card that I found on Pinterest. 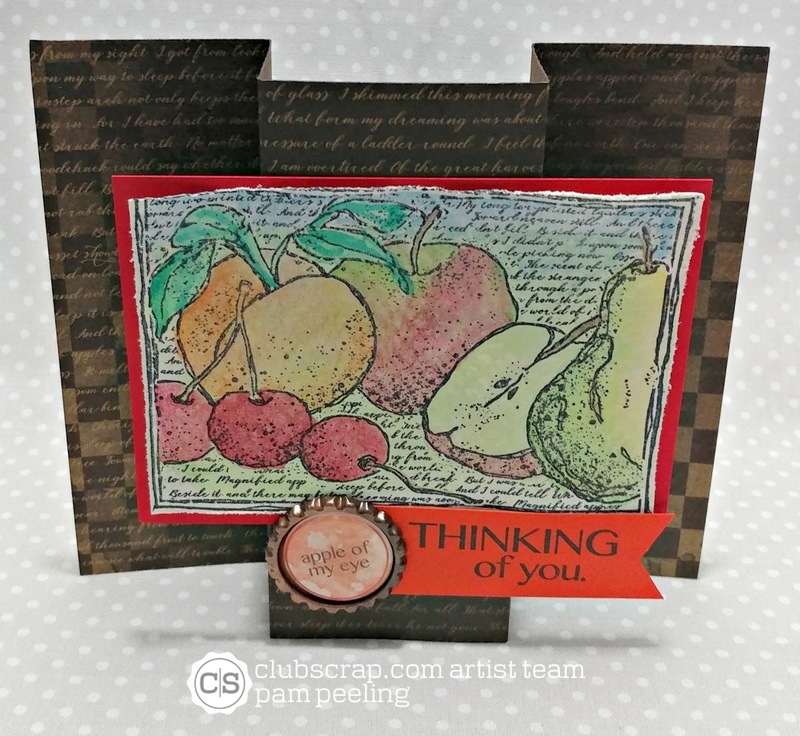 All papers and embellishments are from the Orchard kit. Love this Bridge Fold Card design! So easy and fun! Check out a tutorial here. For this little grouping of pears I used the single small and large pear images from the unmounted rubber stamps. I masked the front pears and stamped the image again to look like it was behind the front pears. It folds flat to fit in a basic A2 envelope. 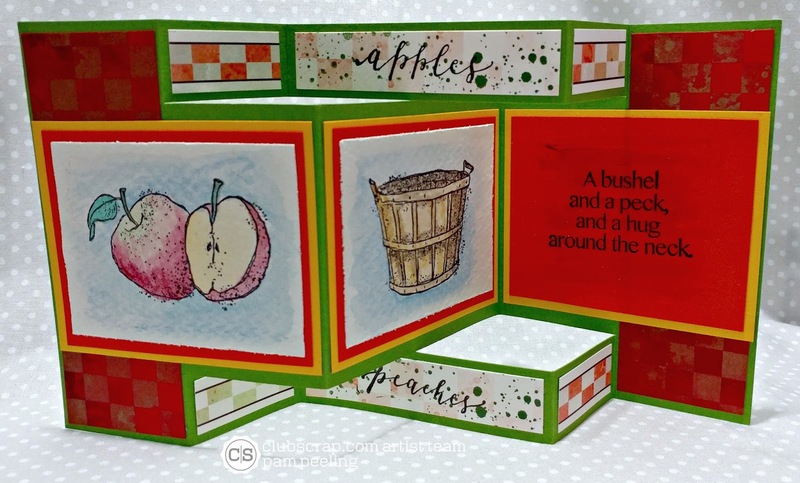 I love Tri-Shutter cards-I think this is the first fancy fold card I tried when I 1st got into paper crafting. Folded up it fits into a standard A2 envelope. This Double Z Card all folded up also fits in a standard A2 envelope. There's a great template here for this card. 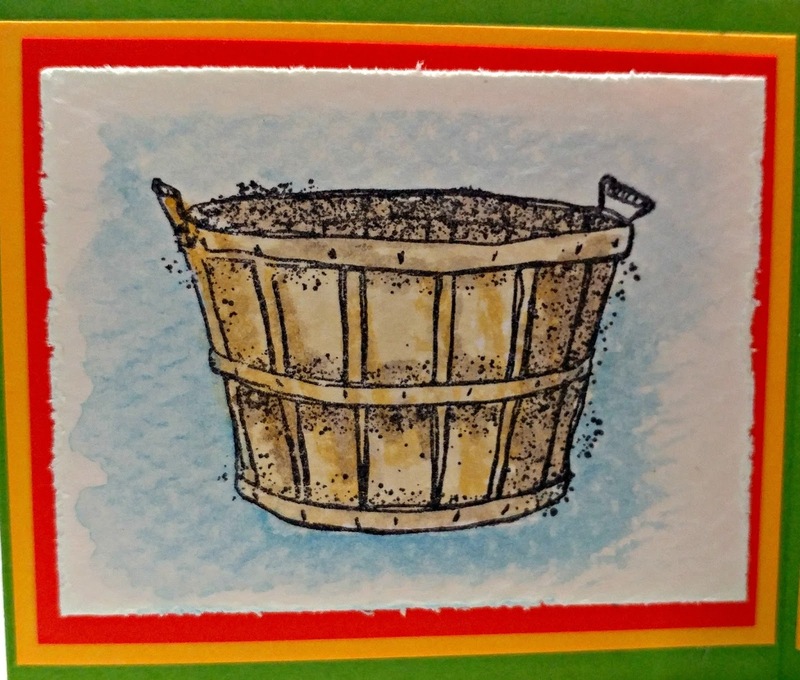 Keep hopping and head on over to Roni's blog to see what watercolor technique she used! 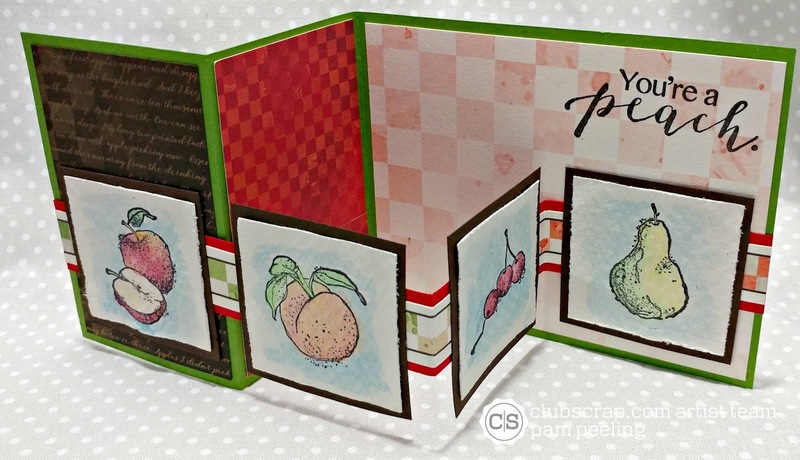 Beautiful watercoloring, Pam and you made them into stunning z-fold cards. 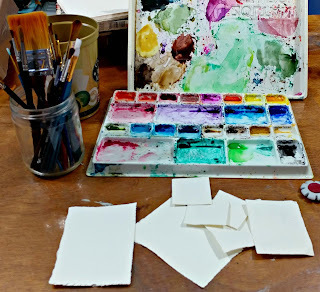 Watercolor panels and fancy folds! What a fun set of cards Pam! What lovely cards - they all looks so pretty and I love the fancy folds! I love the softness of your colored images, and what a great variety of fancy folds you've included here. Awesome! What fun fancy folds, Pam! Beautiful water coloring. Beautiful cards! Your fancy folds are gorgeous! So many fun folded cards here! 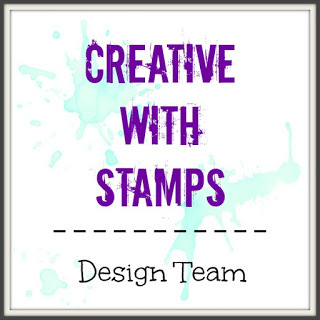 Loved these ideas!